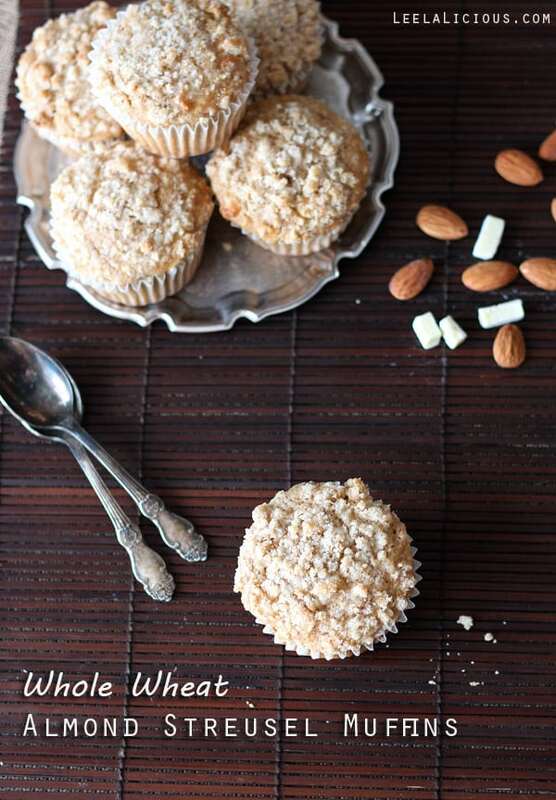 Super soft and fluffy whole wheat Almond Muffins with white chocolate chips and a crunchy streusel topping. 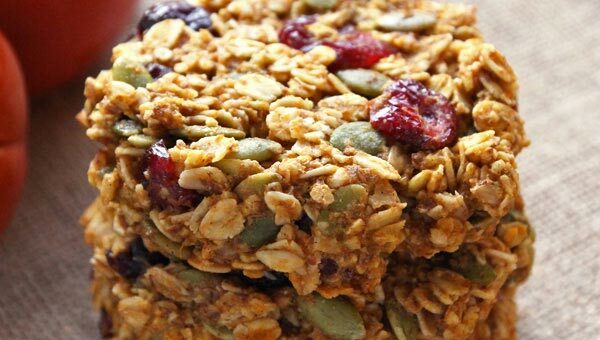 These make a great breakfast or afternoon coffee treat! You are so cute, so handy, so delicious and oh so versatile. 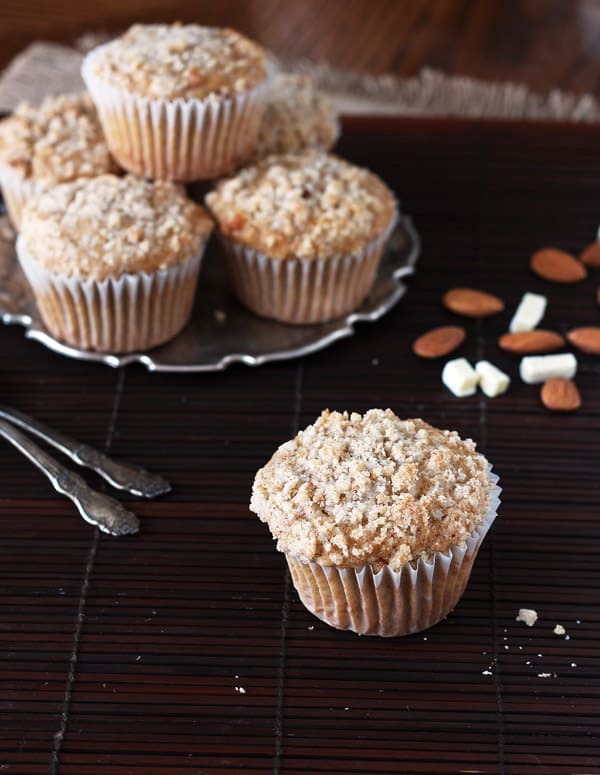 These muffins are an adapted version from one of the first recipes I posted on this blog. Back then, we were about to leave on our Asia trip, and I had thrown all kinds of things that needed using up into the mix. 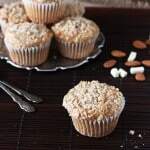 This time, I streamlined the add-ins a little bit and made them almond – actually triple almond – muffins with white chocolate. Triple the Almonds for Triple the Fun! As for the triple almond action with this recipe, yes, you read correctly. Almonds appear in these cookies in three forms. There is almond milk (which can be substituted with regular milk, per your preferences), almond flour, and chopped almond pieces. I’ve mentioned before about my love affair with almonds. They are such a healthy and versatile foodstuff. So let’s get into it. Despite using whole wheat flour, these muffins are anything but dry and dense. Thanks to the addition of oats and almond flour, the texture is wonderfully light and airy. 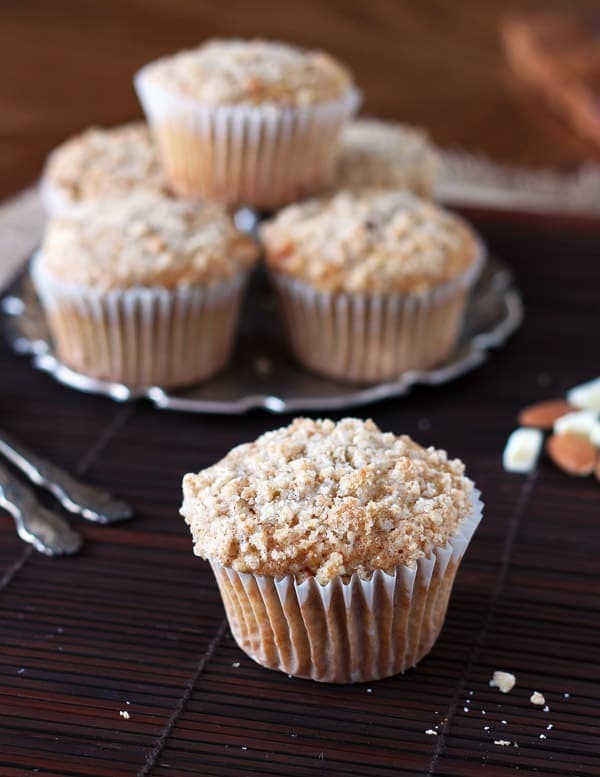 The streusel topping creates a deliciously crunchy texture contrast to the fluffy muffins. 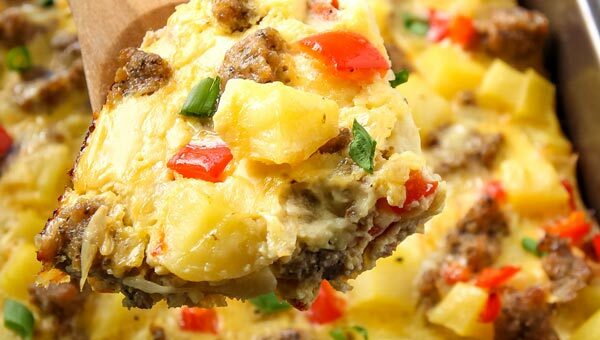 A perfect breakfast, quick snack on the go or comforting coffee time treat. Enjoy! When do you like your muffin best? Preheat oven to 400 F. Make the streusel topping by combining flour, sugar and butter either by hand or with a fork. Set aside. Combine sugar, almond milk, olive oil and egg in a medium bowl. In a separate bowl stir together dry ingredients, except chopped almonds and white chocolate. Add liquid to dry ingredients and stir until just combined. Lastly stir in almonds and white chocolate chunks. Fill a lined or greased muffin pan with batter. Top each with the streusel mixture. Bake for about 20 minutes until a toothpick inserted in the center of a muffin comes out clean. Cool for 5 minutes in the pan, then transfer to a wire rack until fully cooled. 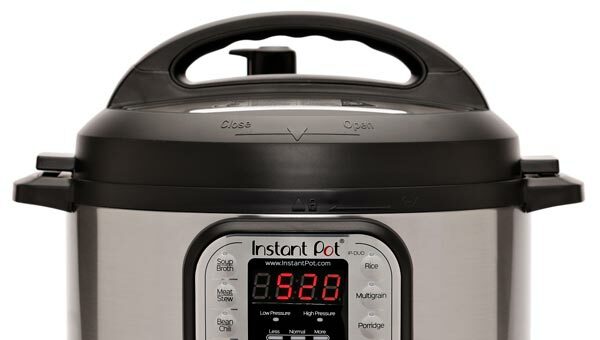 Store in an airtight container at room temperature. 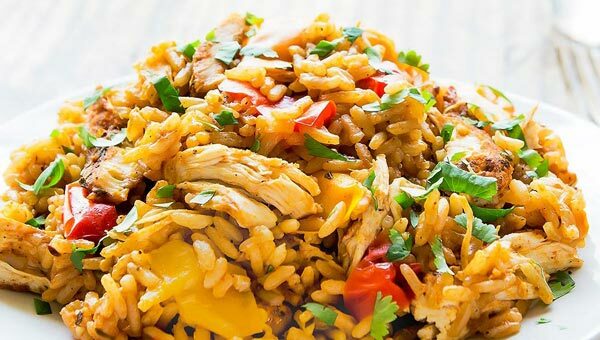 Check out these similar almondy recipes! Almond triple threat – oh yes, please! I’ll have seconds and third, perhaps a fourth, even. :) They look and sound YUM! I love that these are whole wheat and made with triple almonds! they sound delicious!